Dagmar and Ika, What a pleasure and an honor it was for us to have you screen your film on our campus. Students were inspired and energized, as were faculty, by Audre Lorde’s strength, wisdom and joyful spirit, and quite moved by your dedication to her legacy. Audre challenges and encourages us to listen carefully, to act honestly and to speak out. Thank you so much for giving us the opportunity to experience and discuss Audre Lorde -The Berlin Years with you! I just wanted to let you know that the screening on Wednesday (Sept. 20) was a roaring success! We were anticipating that the students would be inspired and awed by the film, but the response was so much better than we ever could have expected! There were cheers and cries throughout the screening, and almost each student had a question or comment for afterwards. I hope you won't mind me letting you know that these are third year Fine Art students who have never before been introduced to nor grappled with queer or radical theories in an academic context. This course (and this being the first week thereof) is their first gateway to the kinds of ideas and ways of thinking both Audre, and films like yours, exemplify. I had my first meal in Berlin at Bejte Ethiopia, a restaurant on Zietenstraße 8. I now know this was Audre’s home at the end of the eighties. That night I sat alone and ordered a small Injera dish with a glass of Prosecco. I watched imaginary girls; Audre would’ve seen them standing outside her window on Bulöwstraße, too young to be prostitutes. During my first month in Germany I walked down this almost-street on the afternoons. In July, a bush of pink roses started to grow right in front of the restaurant and I couldn’t stop myself from visiting it. Maybe I was looking for her. I didn’t know that Audre had paved the way for me to proudly stand there, and I was happy to see her laying this foundation in your film. And she does so not only in her poetry and activism, but also in the way she stirred her cappuccinos, how she wore her cowboy hat and laid by the canal. How she carefully sliced beets like making a poem. I heard of Audre before, here in Berlin she has often been my only company. During my first nights I read from Zami until sun came out. Then I would call my mother, loving her in Audre’s words. Like Audre’s work, your film is an acknowledgement of the women who keep us alive, and who lead us home. Thank you for allowing me to sit in the presence of Audre, and for introducing me to the words of May Ayim. Hello Dagmar, good morning. It is a pleasure to greet you and to tell you that we have done Audre Lorde's documentary screening. So I want to send you the information you asked for. In the archive you will find a record of only some people who attended, sorry that few people are registered, is that the screening was in a main square and people come and go, it is difficult to try to keep a record in a street cinema. He also sent you some photographs of the projection, so that you can look at it for yourself. Finally, I thank you again for trust in "Cine Colectivo Aguascalientes", the audience loves the movie. Good vibes and lots of hugs. “Audre Lorde – The Berlin Years 1984 to 1992” (2012) Dagmar Shultz’s film tells an untold chapter (the Berlin years) of the late writer, poet and activist, child of immigrants from Grenada, who died rather young at 58 years old in 1992. The film focuses on Audre Lorde’s years in Berlin during which she catalyzed the first movement of Black Germans to claim their identity as Afro-Germans. As she was inspiring Afro-Germans, she was also encouraging White German feminists to look at their own racism. The film serves as a historical document for future generations of Germans, profiling and highlighting, from the roots, the African presence in Germany, and the origins of the anti-racist movement before and after German reunification. It also offers analysis and an understanding of present-day debates on identity and racism in Germany. Consider it a companion piece to the 1994 documentary “A Litany for Survival: The Life and Work of Audre Lorde” by Ada Gray Griffin and Michelle Parkerson, which is also certainly a film you should see. We screened the film last night and it was a really successful evening with a lot of positive feedback. In fact, the event was extremely popular and was fully booked within a few weeks with over 900 people 'interested' on Facebook. In light of this we thought that maybe we could screen the film a second time as there there is clearly a lot of people here in London who are keen to see it. On January 29. 2015 Arcilesbica screened the film in Pisa at the occasion of the presentation of the Italian translation of Audre Lordes essays entitled Sorella Outsider and of her novel ZAMI. It is wonderful that Audre's work finally appears in Italian. Thank you for your great work. Today we will present Zami and Sister outsider[s]. Thank you for your loving tribute to Audre's life, work and loved ones - those she touched and those that clearly touched her. Your film is such a contribution to legacy, the legacy of witnessing, sharing, gathering, re/membering and loving! I recently saw your wonderful film about Audre Lorde here in Stockholm and was so moved and so excited to see her legacy passed on to new generations of activists. Her pedagogy, her spirit and her poetry are rich with lessons for all of us working on feminist and antiracist issues today. I encourage all (university) libraries to order it so that students can learn from her incredible work. Ulrika Dahl, Associate Professor of Gender Studies, Södertörn University. Thank you for the opportunity to feel Audre' presence so closely and to see the affect she still has on others. I never sit down to write w/out thinking of her. The screening of AUDRE LORDE - THE BERLIN YEARS in Havanna on December 21 was a full success. There were about 50 persons present. The room is dedicated to the ballet dancer Alicia Alonso and is decorated with beautiful drawings and paintings of her. We gave a short introduction to the time period and the content. People watched the film very attentively and with great interest. The comments and the discussion after the screening showed that the viewers were very moved and also very grateful that we presented the film. Perhaps you will receive further comments and requests. My mother’s time in Berlin was very important to her, and I’m so glad that Dr. Dagmar Schultz and her team have created Audre Lorde: the Berlin Years to serve as not only a living record of that time, but also an inspiration. 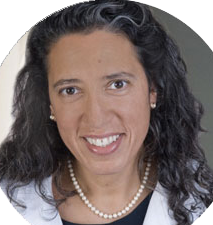 The film inspires me—as a cancer survivor, as an African-American woman of mixed race, and as a physician—not to be satisfied with what is, but to continue to work in service of my vision. The film documents how crucial Manfred Kuno’s medical care was to my mother’s survival with metastatic breast cancer, but also how central and sustaining her work with Afro-German women became to her. These are pieces of Audre Lorde's life that have never been as clearly drawn as they are in Audre Lorde: The Berlin Years; however, as valuable as the film is from a historic viewpoint, I treasure its humanity and dignity, the deep respect with which it shows both my mother’s strengths and disappointments. I love how the film depicts my mother’s humor, and how she found so much laughter in her loving relationship with Gloria Joseph. I think she would have loved the film—she adored the quote from Zora Neale Hurston, “I love myself when I am laughing—and again when I am mean and impressive,” and I think this film does a great job of showing Audre Lorde fighting fiercely, Audre Lorde galvanizing a movement and reveling in the work of her Afro-German sisters, and Audre Lorde dancing, laughing, and loving in what proved to be the last years of her life. …The screening was really interesting for all of us (there were 140 persons approximately). People told that the documentary was very emotive and at the same time very rigorous, with a very interesting information about Audre's feminism. Many people were not knowing the Audre's work in Germany, we only know of her as a poet, but her work, her feminism, was amazing. We cannot explain with my rudimentary English, but we think your documentary was the best in our Festival. We are very very happy, congratulations one more time! The screening was wonderful as we received about 100 people to the free event. Three other filmmakers were in attendance and I'll be posting the video from their Q&A session soon (www.youtube.com/ibwff). I saw a table of local women studies educators from San Francisco State University (specifically Dr. Chinasole and about four colleagues). Many people asked about purchasing the DVD and I'll be posting a link to your site soon (via website, Twitter and Facebook). Many of the audience members shared that they were not aware of how much Audre Lorde impacted the Afro-German movement and saw her accomplishments from another perspective. Thank you so much for your hard work, tireless research and vision in creating this documentary which is a true testament to Audre Lorde's life! I wanted to tell you that the special features of your film about Audre Lorde moved me a lot. One understands her position toward her poetic work and above all the perspective which she has gained after all those years. It truly is a gift to listen to her talking about it. Therefore I find this extra material of your film very important! The reaction was amazing—what a fabulous film! We also were lucky enough to be joined by two women who were in Berlin and part of the course that Audre Lorde was delivering to at the time the film was made. They travelled across from Birmingham to see the film with us—brilliant! #SundayScholar I follow @AudreLordeFilm as the documentary by Dagmar Schultz opened my mind to a whole aspect of Audre Lorde I didn't know. Another successful screening: Radio Redmond in Amsterdam! The filmscreening was a great success. It was completely sold out and people were really excited about the film, we had around 100 people in the theatre! We even had to fit people on the floor and the stairs. Thank you for giving us the opportunity to screen the movie. The interview with Gloria Wekker was also really nice and we had an important chat on the importance of black feminism and the work of Audre Lorde today. “I grew up as an Afrogerman child of the generation after the young women shown in the film. In my generation there were already many more of us, but above all we had the chance to grow up with more contact to our African parent. To see how difficult life was for Black Germans without this relation and above all without a respected identity in the public perception was quite fascinating for me and I could understand it very well through this film. John M. Lwanga aka. For my 76th Birthday party, I sent out an invitation to 13 of my close friends. All Old Lesbians and staunch feminists. We saw the first 35 minutes of the video and then we had an hour long discussion about what Audre Lorde means to us in our lives and how her influences in our lives fueled our passions in the early days of Consciousness Raising. We spoke about where we had those early conversations in the sixties and seventies. Being Florida, we have come from very different communities in all parts of the country. It was good to remember how we began and where each of us were on our paths to becoming Sister Outsiders. Each of us loved the video and I have lent it to them, one by one, so that we could each view the entire length in our own homes. My partner (wife) and I will probably watch it one more time and then donate it to our small Gulfport Public Library for their growing LGBTIQ section. This video gave us not only insight to those years that Audre Lorde was not in the US, it gave us insight into a different part of her activism at the same time that we were doing “Salons” for lesbians here in St. Petersburg. Our Salons lasted from 1982 through 2004. Thanks for your loving video and the care and insight with which you have given us this precious look into Audre Lord's life. you should have received the tag on Facebook on the Photos we took during the Audre Lorde screening we had in Milano on the 14th of April…. please search on FB Immaginaria to have a look of a full screening room! Just few days before the screening, due to technical issues, we had to change the location (from the Palazzina Liberty to the beautiful room owned by the Female Union in Milano). In any case the event was a great success and the debate following the screening was very interesting. Please, find in attachment the announcement of the event published by "la Repubblica", the second newspaper in Italy. The more often I watch your Audre Lorde film, the more it moves me and brings me to think... What a loss for the world if you, Dagmar, had not taken the video footage and completed this film with Audre! Your documentary is so important and timely, we need more discussions about our working together across differences like Audre and you all had them during her time in Berlin. I enjoyed the film very much. I was not as familiar with Audre Lorde as many others in the audience. I walked away from your film with a feeling that I was given a very personal, insider's perspective of her work and personal life. She touched me in many ways. I trust this message finds you well. I was at the Toronto screening of your most insightful and heart-warming documentary on Audre Lorde's time in Germany. It moved me to tears and I wanted to introduce myself to you and give you a big hug for gifting us with this wonderful and much needed presentation of Audre's life and words. Unfortunately I had to rush off to another appointment right after the screening and a long line of well wishers had already formed in front of you. Thank you very much for this unique piece of work. I have long been a fan of Audre Lorde's work but you made her feel real to me in a way I've never experienced before. Watching your documentary felt like I was meeting a long-lost wise friend. I think this is a testament to how well you were able to convey your own friendship with and love for her through your work. I bought a copy of the film at the screening and look forward to savouring it over and over again. Yes it was a moving homage to Lorde, and a wonderful opportunity to learn about this less well known aspect of her life (for me sort of like the revelation of learning about Baldwin's years in Istanbul). Audre Lorde: The Berlin Years, 1984-1992 will certainly jump start new thinking in “Lorde” studies (and it ought to—I certainly had not thought about Lord[e] in years though, like Baldwin, she is never very far out of mind). More than the recent Angela Davis film, with all its slickness and finished polish, I left the screening of Audre Lorde, with its home-made honest aesthetic, feeling really provoked emotionally and intellectually. That footage of Lorde offered a naked sense of nothing lost, nothing gained"; but rather than bemoaning the human condition, the film foregrounded, unapologetically so, the ongoing powerful and empowering struggle of women doing the simple things together: looking at each other, staying together; sustaining talk and collaboration; asking questions, being astounded and laughing; finding a voice where none had been before. An absolutely significant model for today! Audre is such a marvellous figure: without a lot of bombast or pyro-technic heroics, she simply changed people's lives and transformed thinking; jump-started consciousness; enlivened a sense of identity in the so called "Afro-German" feminist space from where it had been dormant and silent—she was a catalyst, a poetic alchemist: she brought people together in a way that lives on and no doubt continues to evolve in the experiences of the women she touched so profoundly. This was simply a joy to behold! "Contemporary Urgency": what a wonderful title for the event—those joyous, committed, fearful and fearless images of Audre Lorde, facing (smiling) uncertainties of life and death with such unrelenting spiritedness, lived up to and exceeded every syllable of that thematic phrase. I am just so, so happy I was there for such a special event. Wow! I can't wait to see the film again. I knew nothing about her Berlin years. This film showed me the human and vulnerable side of her. The excerpts of her poetry and her talks brought back memories of her work in North America. They are as inspiring today as they were in the 70's. The film exemplifies her ability to reach women globally at a time when this was not as easy in today's internet driven technology. This film should be shown to all young women, the workbook on the [web] page will facilitate discussion and is a great guide for educators. Thank you for taking the footage and preserving it so that it can now be presented in this very professional and coherent package. I was in tears, seeing the strength and hearing the wisdom of Audrey Lorde. She is remembered and well loved by many. Her influence continues to this day. I'm still beaming after last night's doc screening of Audre Lorde: The Berlin Years. Your film was a love letter to Audre & a heart-warming tribute to her influence, her joy & her humanity. The evening was perfectly orchestrated ~ panelists shared memories of audre & linked this to contemporary social justice issues. I learned so much! But most of all, your film simply made me want to be a better, more courageous, more loving warrior. …“Thank You”. This film was absolutely amazing, I took so many notes! I’d say the most impactful for me was that we all need to “tell [our] story... because no one can tell it for us.” And my favorite quote, for when trying to convince others to simply give your words a chance, “I am not TELLING you to change your mind, I am ASKING you to consider.” As an artist who just recently moved to Chicago, this film was without a doubt one of the most invigorating events I’ve experienced since I’ve moved here. The world was a richer, brighter, more promising place with Audre Lorde in it. I am thankful that you were able to not only capture her words, but also her poise, her energy and the strength of her spirit. She led so many when she was living in the flesh, and she leads so many more now that she’s transcended. She’s no longer restricted by the physical body, she is any and everywhere she pleases. When you watch this film, you can’t help but be inspired by her because you FEEL HER. So, once again, Thank you for this beautiful piece of work Dagmar. You too are a blessing to us all. Continued blessings to you and yours. Peace & Love. I bought the film recently and just finished watching it a minute ago. I want to tell you that I think it is wonderful and will do all I can to encourage everyone I know to see it. I am totally thrilled to have it, along with Audre Lorde’s poetry, nonfiction and biography. Thank you. Congratulation for the film! The legacy of Audre should be shared broadly and inspire all those who walk on the path of freedom and justice. I truly wished I could be present in one of the presentation. Wishing you and the tour a great success! I found Audre Lorde: The Berlin Years by Dagmar Schultz to be inspiring on many levels. First to re-experience Audre and the values she has presented to us, secondly to see her as an artist-and-activist as she encouraged the presentation of “Afro-German Lesbians”, thirdly to see a broad range of who Audre was: the public and the personal, and thirdly the commitment of Dagmar to photograph and film Audre in various moments over a number of years and to hang in there till there was a film to share with all of us. My favorite part is the juxtaposition of Audre’s serious poetry with her joyous dancing and being teased by her partner Gloria. Her grudging reaction to Gloria’s teasing allows us to see her being human, not perfect. How are you? I hope you had a great Christmas and New Year break. I am Nayana, one of the doctoral scholars from UNSW who attended the Audre Lorde Australian Premiere. Thank you for organising the evening, it was particularly beneficial as Lorde's scholarship influences my PhD thesis. It was a great evening and I especially enjoyed having the opportunity to ask questions over Skype, linking the events on the film to something very tangible and historically present was indeed a good idea. If you have other events related to literature and art etc. lined up it would be great to hear about them.. I wish you a very good New Year 2013. Audre Lorde was a revolutionary. She was a revolutionary of the Woman Kind. The documentary Audre Lorde, the Berlin Years opens a door into [eight] years of Audre’s life. 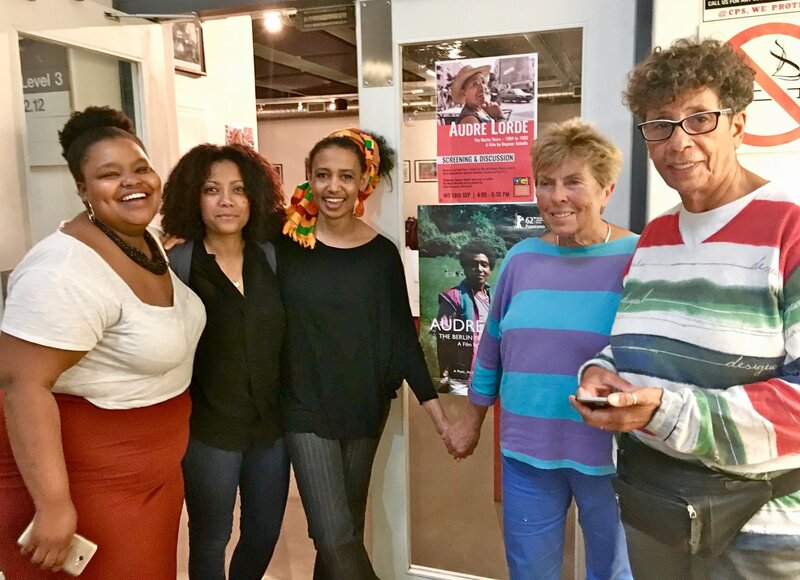 That this door is opened for us, the audience, by the reflections, point of views, memories and footage put together with participation from some of the women whose lives were touched and transformed by Audre’s being is the significant and distinguishing point about this documentary. In Berlin Years, Audre’s quest in giving life to the term ‘Afro-German’ finds flesh and bone bodies, in women and men who recount how they found in Afro-German a name to describe themselves with for the first time in their lives. And a name is a beginning. The documentary allows us to see how that beginning, the name, has informed and formed the lives of numerous Afro-German women. In additional rare footage in The Berlin Years, Audre tells us: “…if you have something to say you HAVE to say it.” And nothing is more important than this in our lives, particularly in the lives of the woman kind. To find one self, one’s voice, and to say oneself with that voice and to leave traces of what one has found to be for the rest to find. More, in the documentary Audre recites her woman-ness in its diverse ways. She laughs, dances, shares her poetry and anger and sadness and questions in her fierce, gentle way. Thank you to the forces of our universe and all others involved that Audre did say what she had found to be hers to say and left her poetry and the memories of her being, via, Audre Lorde: The Berlin Years for us. In a naming ceremony before her death Audre took the name Gambda Adisa, which means “Warrior: She Who Makes Her Meaning Known.” The testimonies of the women in Audre Lorde: The Berlin Years makes it known that she not only did make her own meaning known but inspired other women to do the same. Audre Lorde was a revolutionary of the Woman Kind. Thank you very much for your email. The screening was great! We all enjoyed it, thank you for making such an important movie for us! Our students from Women and Gender studies were there and also many women from our Women and LGBT and Queer organizations. After the screening we had a lecture on Faculty of Political Sciences (department for Women’s studies) about Black feminism and the film really inspired the discussion. Also, during the festival the organization Reconstruction Women’s Fund shared for free the book of Audre’s essays (Sister Outsider) to everyone interested in Audre’s work. So, thank you again for making this film. the screening in Novi Sad on November 1 went fantastic!! there was around 40 of us, mostly lesbians, who watched it, some of us, who knew the work of Audre Lorde were so so excited! I have to say to you - it is one of the best movies I ever watched in my whole life! after the films we had a discussion, and mentioned a lot some of the words of Audre that she said in the movie! thank you thank you a lot, for all your work to make this film possible. it's so important for our history, but also for putting some questions that are still very actual. I am just sad that we can not put in words the gladness we all felt after the screening. I am very pleased that the German DVD is available now. I have just watched the impress[ive] bonus material, which, in addition to the film, I find very moving. To see Audre together with the South-African, the Caribbean and the Afro-German women, to listen to her reading her poetry is heartwarming. The scenes from the memorial service “Celebration of Life” in Berlin underscore once again the legacies of Audre Lorde, and the ways in which she was able to connect different people in her visions of a better future. I hope that the Study Guide will be useful to further make her meaning known, as well as her bonds to Germany and the Black Community in Germany. What a wonderful and extraordinary group of women! Ika Hügel-Marshall? I analyzed her autobiography in my dissertation! I was at last night’s screening of Audre Lorde - The Berlin Years at U Mass Amherst. I am someone whose life was changed forever by the work of Audre Lorde. When I was a young woman, she challenged me on every level to get past paralyzing white guilt, to take action, to change myself and what I could of the world. Audre Lorde - The Berlin Years is a gift. It is a beautiful, intimate portrait of Audre Lorde, who possessed a singular genius for telling the truth and reaching over seemingly hopeless divides constructively, at great cost to herself. I can think of no other writer or activist as powerful, as generous, or as skilled. Through her poetry and teaching Audre Lorde challenges each of us to take responsibility and take action. She moved an entire generation forward and continues to do so through the legacy of her writings, and now through this amazing film. Filled with rare film footage and audio, this is a historic document of enormous value, capturing an era, and the birth of the anti-racist Afro-German movement, a movement fired by outrage and inspired and mentored by Audre Lorde. Her work in Germany was part of her larger role as one of the twentieth century’s most important (and unsung) civil rights leaders, so important because of the very broad scope of her advocacy, and so ahead of her time. We owe Audre Lorde a great deal. I am so grateful for Audre Lorde - The Berlin Years, a very human exploration of this very important artist. I want to thank you for sharing Audre Lorde with me. She is a person I was unaware of before this, but now I feel as if I've met her and that my life feels all the richer for the meeting. Keep up the great work Dagmar and Ika! You are an inspiration to me. Just saw your wonderful doc at UC Berkeley tonight! What a gift to see such joy and passion that Audre Lorde gave to folks throughout the world. le soleil audre lorde a illuminé la première soirée du 6e congrès international de recherches féministes qui a eu lieu à lausanne du 29 août au 2 septembre 2012. merci dagmar pour ce cadeau précieux! We thank you Dagmar for all you did for Audre then—And for giving us this lasting, inspiring, challenging, life-enhancing legacy now. Your film is deeply moving and makes available a wealth of information and insights into Audre’s years in Berlin. The film is a wonderful achievement. Thanks for making it available to me. I think it is the first time that I have heard her read “Love Poem” in a format in which I could see her, too. And I love how you threaded “A Litany For Survival” into three segments of it. It’s probably my favorite of her poems. And I’m glad, too, that you had her reading part of “Today is Not the Day,” which is among the most poignant. The interviews with Gloria Joseph enriched the film considerably, as did the footage of Audre’s doctor’s meetings with her. As Director of the Audre Lorde—The Berlin Years, Dagmar Schultz has a sensitive eye for the intimate and political complexities of a beloved poet in her her Berlin years, challenged by how best to bridge cultures of race, language, sexualities and medicines. The film evokes the immediacy of Lorde’s presence and the lasting accomplishments of her cultural work; both endure in our hearts. A wonderful film capturing context, vision, presence. You have done a brilliant job of sticking to it as well as being flexible and creative. I just wanted to tell you how much I enjoyed your documentary about Audre Lorde. I was at Frameline showing our doc (UNFIT: Ward vs. Ward) and was so happy I got to see some films as well. I had never heard of Audre before and I truly enjoyed getting to know her and her story through your work. FRAMELINE36: Ruth Mahaney, City College of San Francisco, faculty of LGBT Studies and History. The film portrays Audre as a very human person, who jokes, laughs, and dances. She also is an amazing teacher. I especially appreciate that you included so much of her thoughts and politics…you get a real sense of why she was so important to those of us who were lucky enough to be in her presence. She always taught us something…. [A]s a teacher of history myself, it has been hard to explain to my students who Audre was and why she was important. This film will make that very clear to those who had never heard of her before. Her politics were so useful and clear. They are still extremely relevant. I plan to use the film in my classes and show it to everyone I know. Thanks for making it. I love Audre Lorde—The Berlin Years 1984-1992. There was so much information about her work in Germany that I had never heard of before. The fact that she was looking for Germans of African descent, and that she found them here and there, and out of that grouping came the community and movement of Afro Germans is an element of her life that is so critically important and is virtually unknown I suspect. The way the film is structured, beginning and ending with music and dancing, which she loved, served several functions for me. Her sense of joy comes through, and prepares us to see her very human side as well as her academic and poetic and political personae. This is true throughout the film; as it shows her moving from classroom to poetry reading to personal conversations and activities, we as viewers begin to get a sense of her seriousness as a political activist, her dedication to her students and her sense of humor and compassion. The editing of the film is superb. In some parts the film moves chronologically from the time of her first being invited to teach in Germany to her death. But it also shows topically her involvement with different issues in non-chronological order, such as the work of building a revolution. The presentation of how she dealt with her cancer and then her impending death was so well done. In the middle of her acceptance of her situation, and the sadness that it evokes in all of us, there is that wonderful gem of her sitting in the bed criticizing the decorating. What a funny breath of fresh air. If you do any thing this year, try to see Audre Lorde - The Berlin Years an empowering film and call to action. Just a little note with a BIG thank you for your Audre Lorde film - a most enjoyable and important work— I left the theater feeling hopeful and inspired by the life of this amazing feminist woman/poet/teacher/role model as it played out in her time in Berlin. And I certainly came away with more historical information than I started with re: Blacks in Germany. Thank you for giving us this very interesting and valuable work that I wish the whole world could see. I saw the Audre Lorde film a few times, in various versions, during development and up to the last cut. The best screening was the one at the Brecht Forum in NYC in March. The room was packed with an amazingly diverse crowd and reactions were electric. I saw how Audre’s wide-ranging stories/songs/speeches of militancy and compassion, protest and silliness, elegant poetry and ordinary hanging out moved her audiences as we saw them in the movie and the audience of that wonderful evening. The discussion at the end was wonderfully gratifying…people learned something new about a New Yorker we all admired and miss very much and the filmmakers saw, I hope, how their work can reach an audience of mixed races, politics, sensibilities and sexualities. Thank you for bringing Audre Lorde - the Berlin Years to Frameline yesterday. I very much appreciated your comments about being a white filmmaker during the Q&A. As a white woman I want to understand how I can better use what power I have to address my own racism and to help battle all racism. I first heard about Audre Lorde when I was in graduate school (for materials science/surface physics) in the late 80s/early 90—my first real exposure to queer and feminist culture. As a result I am an out lesbian full-time industrial scientist and part-time faculty (at San Jose State University.) Thank you for making this path possible for me! Your film will help yet another generation of women learn about Audre Lorde and that is a wonderful thing. I also enjoyed your photography on your website; the images are beautiful. Wishing you all the best and safe travels to wherever you are going after San Francisco! Looking forward to your next project! “Things you should know about Audre Lorde: she loved flowers, she had a deadpan sense of humor, and after her cancer diagnosis, she believed that being in Berlin added years onto her life. In 1984 Lorde began teaching at the Berlin Free University, and from the beginning, her work in West Berlin focused primarily on bringing together the far-flung, disjointed community of Afro-German women. Lorde would spend the better part of the next decade between two homes, West Berlin and St. Croix, living with the same vitality she brought to her writing and her work. Students remembered her for her unfailing encouragement, activists for her uncompromising vision of justice. But what makes this film shine are the moments of banter between her and her friends—her complaining about why Germans refuse to match their pillowcases to duvets or her lover teasing her about never admitting when she’s wrong. Dagmar Schultz, Lorde’s German publisher, colleague and friend has crafted a lyrical, humanizing snapshot of the iconic writer for the twentieth anniversary of her death in 1992. Through lectures, discussion groups, and intimate journal-like audio entries, Lorde’s forceful, captivating personality shines through. Yes, what a moving and inspirational film about an amazing woman. I'm *so* glad I saw it, and highly recommend it to EVERYONE. Amazing, and testament to her awesome power that everyone I spoke to afterwards felt inspired in to be bolder and more ambitious in their own work and activism, and buzzing with ideas about things they wanted to do next. Thanks to Muffin Hix for banging programming and Dagmar Schultz for making this wonderful film about Audre Lorde and Sara Ahmed for her very inspiring and powerful introduction. I was so moved by this screening. Try to see this film wherever you are. Wonderful showing at The Brecht Forum in NYC 3/26/2012 overflow crowd required the announcement of a second screening! We at the Langston Hughes African American Film Festival are very happy & excited about presenting the premiere of Audre Lorde—The Berlin Years 1984-1992 here in Seattle on April 15. In past years we have shown films about Audre Lorde and May Ayim. Thank you, Dr. Schultz, for producing this important film. HI I went for the screening of your movie about Audre Lorde during the Fringe festival in London last Saturday and i wanted to thank you for your work/creation. It’s been a pleasure to watch what you made and a real inspiration on so many levels. Hope you're good. I had the pleasure of seeing your film at the Berlinale this year and was struck by the power, resonance and joy of your document. If it does not conflict with any other required premieres in the UK, we would really love to find out about screening your film at Fringe! Film Fest in London on 14th April 2012 at The Rich Mix. This was a most fantastic film. It felt like a privilege to watch a special moment in the lives of those women and the impact Audre Lorde had on their lives. But the power of their collective voices and your ability to make that come out in the film. Superb. Was fabulous to see last night at Spelman in the US premier. A wonderful tribute. This film is amazing!!! A wonderful homage to Audre Lorde and inspiring women in Berlin. Thanks so much for that, Dagmar Schultz and everyone who contributed to it. Having first met Audre Lorde in Berlin on one of her many annual trips to Germany, it has always astounded me that the ever burgeoning literature on this singular figure has consistently overlooked the influence of Lorde on Berlin's black communities and in turn, the role that Germany played in her life. Germany was, for Lorde, a site of healing, a place of activism, and a vibrant beacon of hope made visible through her deep attachment to the Black German community, numerous members of whom she inspired through her teaching and writing. Lorde was a vital impetus for the Black German movement through her mentoring of many of its earliest writers and activists. Yet she was also the beneficiary of their deep admiration, and found solace in the support of her long-standing friendships in Germany. It was her German friends who introduced her to some of the alternative treatments that sustained and extended her life following her diagnosis with cancer. “The Marvelous Arithmetics of Differences” will add an extremely important chapter to the life and times of Audre Lorde. Produced by Lorde’s German publisher and close friend in Germany, Dagmar Schultz, the film will address this gaping lacuna in the author’s biography by offering rich new insights into one of her most overlooked sites of inspiration. It is a film and a story that is long-overdue! Thank you very much for the desription of your interesting and important project. My compliments for the work already accomplished, which I consider meaningful and deserving promotion. I keep my fingers crossed that it will work out financially too. A wonderful project which should receive support from all sides. ...I would find it very good if the film could be used also in educational work. Beyond that, the film idea seems highly interesting and exciting – great that you are doing this. great that there will be a documentary about Audre – she has given me a lot on my path. The project sounds very interesting and certainly will be an important contribution for the afroamerican cultural history, but also for ist transatlantic significance.